Nicholas loves going to .22 Youth Night at our local gun range. They close off a whole room of lanes just for kids to shoot .22 so it is quiet and fun for the kids. 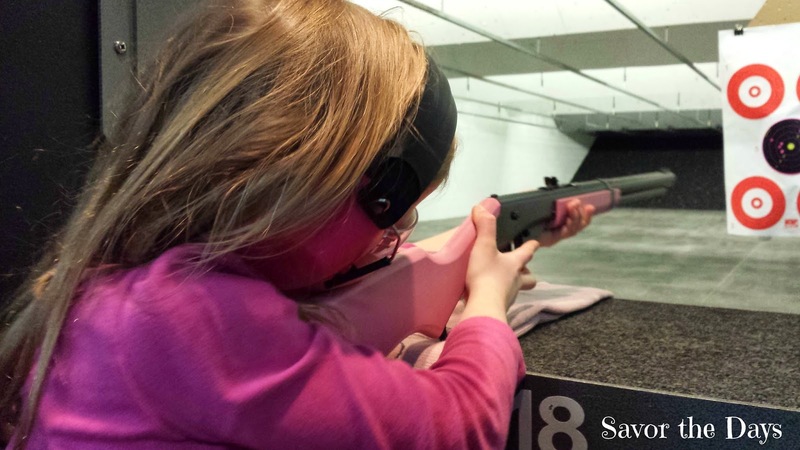 When Rachel turned 6, one of the first things she said she wanted to do was go to BB Gun Youth Night. She had been wanting to go at other times but their minimum age for Youth Night is 6 years old. She has gone to almost every BB Gun Youth Night since she turned 6. She rents a pink BB Gun, of course! 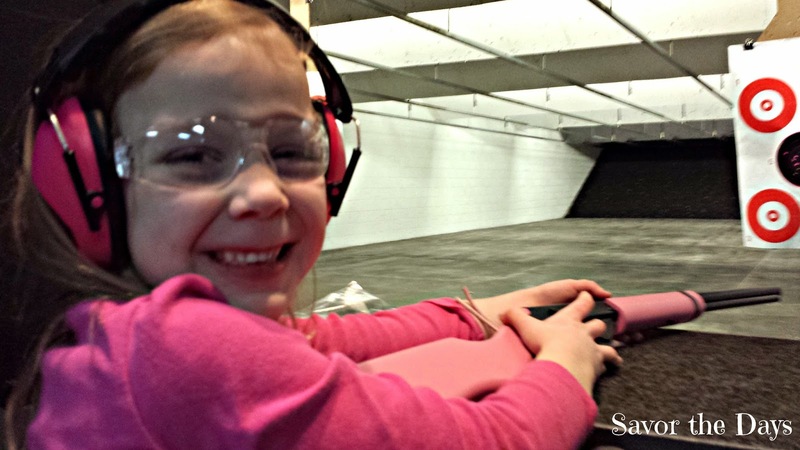 Stuart has done a great job of teaching both of our kids about gun safety as well as how to handle a gun. They take it very seriously. Rachel is pretty good at it too! 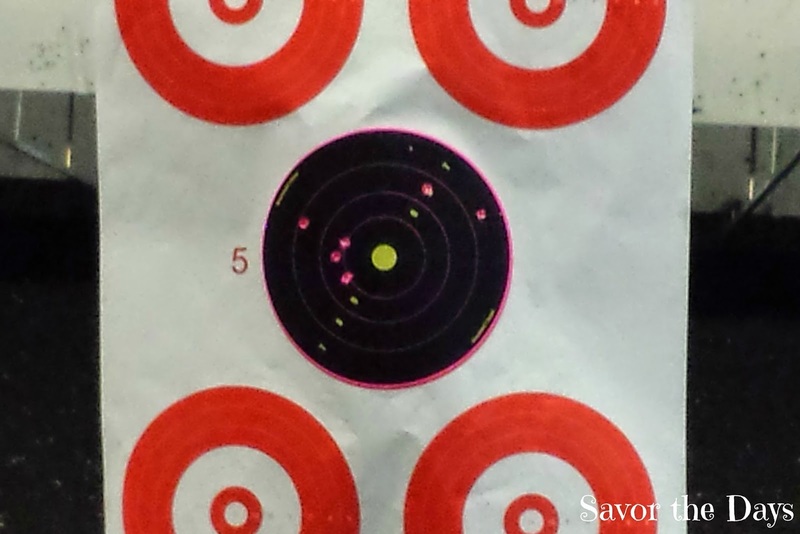 The pink dots on the black target are hers.